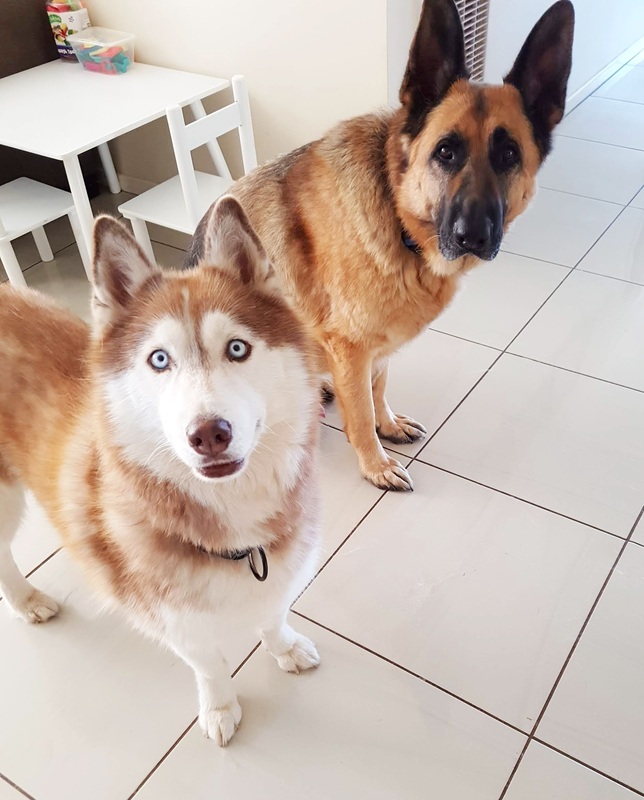 Asha and Nugget | Arctic Rescue Victoria Inc.
A German Shepherd on our page? All right, all right, settle down! There’s the most adorable red Husky girl that’s vouched for him - he comes as part of a package deal. This bonded 5 year old pair are a delight. Nugget (GSD) is one giant big softie and Asha (Husky) is his Princess. They have been together since they were puppies and can get a little agitated if separated. They currently have access to both the inside and outside of their house and love to go in and out as they please. They love to have the ability to have a run around together, so they need a large secure yard with high fencing to do this in. At night they just love the company of their family and sleep just outside the bedroom. 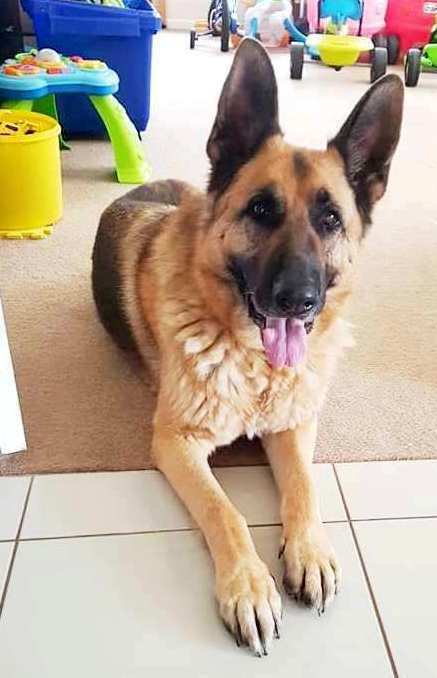 They love the family's children, but are supervised at all times as they are large dogs that like to play, and little ones can easily get knocked over by their antics. On walks, Nugget can get a little excitable when sighting another dog or new people, so some further training to socialize both dogs would be advantageous. He walks beautifully when there is no one else around and with a confident handler is easy to redirect and control when he gets distracted. Apart from that Nugget doesn’t realise just how big and goofy he is. Despite her petite size, Asha appears to be in charge but given half the chance, Nugget can take the reins and become the boss if Asha is feeling a little insecure or intimidated. 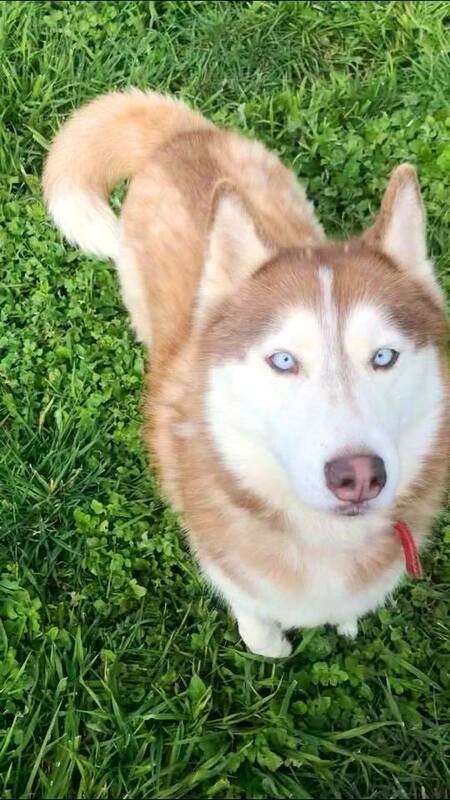 Asha can appear to be a little aloof, like many Huskies, but once she lets you in you will be rewarded with a lot of affection. She loves belly rubs, massages and ear tickles. 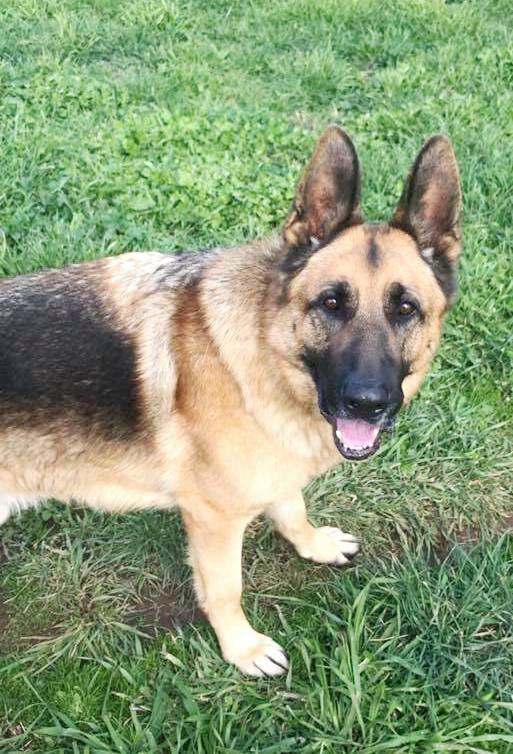 Nugget is outwardly affectionate and will lick you to death if given the chance. An open lap is an invitation. Both love to be brushed and play a game of fetch, whether they bring it back, is totally their call. Secure, 6 foot high fencing is a must as Asha has been known to dig in the past. She is also a little scared of thunder and loud noises, so needs a family with arctic breed experience willing to help her be brave and work on her confidence. Asha and Nugget need to be the only dogs in the home and are not available for interstate adoption or to a home with cats. Anyone with experience with large dogs and arctic breeds will find this pair an absolute delight and you will fall in love with them in no time. If you want a good natured and already made pair, then fill out our online application form today! To sponsor Asha & Nugget please go to our Donate page.